Facebook LIVE is the the hottest thing on Social Media right now and if you’re a business owner you’re going to want to learn how to utilize it (sooner than later). Facebook LIVE is more than just a trend. Facebook LIVE is changing the face of social media marketing giving you the chance to show up even better and bigger for your brand and your business. Everything supporting your business can be found with Facebook LIVE (and it’s not a passing trend). But, stick with me because once you get how Facebook LIVE works on your behalf, it can change everything for you. Before we dive in, can we agree on a few key points, first? If we do, then getting to the crux of Facebook LIVE will be a no-brainer decision for you moving forward. First, in spite of all the recent algorithm changes on Facebook (and there will always be more algorithm changes in the future—it’s part of the territory), have you ever thought that scrapping your Facebook page and marketing efforts on social media was a good idea weighing favorably for your business? I hope not! If you do, please move on (I’ll go ahead and save you some time from reading the remainder of this article). Facebook must be a part of your marketing plan for your business! If we can agree on that, then we can agree that the algorithms of Facebook (albeit frustrating) are something we’ll simply have to contend with. That being said, fighting against the rhythm of Facebook is not where your energy and effort need to be placed…but rather, in working with Facebook while still sharing your message, growing your audience, and transforming your business. November of last year, I shared with the members of Your Digital Formula exactly what to expect on Facebook by way of LIVEs and Videos. Many of the members took heed of what I was teaching and got in front of the wave…and now, they are leading the charge with their own Facebook LIVE shows, including growing a dedicated tribe. I, too, took my own advice starting a daily show on my personal development page and most recently, a second show on my Your Digital Formula Facebook Page teaching and answering questions about increasing your online presence for your business. Without a shadow of a doubt, Facebook LIVEs have made a massive and positive impact for my business. With minimal effort and a growing joy for my Facebook LIVES, now my products— designed to help and serve my audience—are reaching more people than ever, my email list is exploding, and the Facebook LIVEs took my networking to a whole other level. Take note heart centered entrepreneurs, Facebook LIVE is a major asset ESPECIALLY to you. Heart centered entrepreneurs, you have more than a message to share. You have been moved to serve and deliver through your business a way to help change people’s lives for the better. It’s why I love working with coaches, writers, teachers, and healers—the perfect examples of heart centered entrepreneurs who are today’s thought leaders. Who, better than you, can share your love, passion, and enthusiasm for what you do better than you using Facebook LIVE? Honestly, I can’t think of anyone better!! We’ve established that Facebook LIVE and video isn’t going anywhere…so doing them is important to your business growth and development…but there is still SO MUCH MORE by way of what it’s able to give back to you and your audience as well! Pay attention! One important take-away here is that Facebook takes its LIVE videos very seriously—updating it’s algorithms and pushing Facebook LIVE to the top of the newsfeed when you’re LIVE. Your market will find you on Facebook with greater ease if you start your own LIVE show. Your Facebook LIVE show is all yours. You’re the star and the producer and you make the call as you move forward. Most important is that you get to shine as the expert in your field and with a little bit of savvy prep work beforehand you can go a long way by ensuring a really great start to your LIVE appearance(s) giving tremendous value to your growing audience and value back to your business. It’s a win-win strategy. One Facebook LIVE isn’t going to impact your business. Just like any other project and plan you put in place for your business, you must give it the time and the space necessary for you to analyze it, adjust it, refine it and then expand on it. Your Facebook LIVE will not only highlight your expertise, but if you show up consistently, your tribe will connect with you, look to you for insights…and then come to expect it. The best thing to do is set a day and time you plan to do a live each week. Is it once a week? Twice a week? I’d start off with one to two times a week until you get a feel and rhythm for Facebook LIVE. Scattered and unplanned LIVEs make it difficult for your audience to know when you’re on, difficult for them to find you and even more difficult to follow you. By far, one of the best decisions many of the YourDigitalFormula.com members have done is combine the peak time of when their audience is on and then schedule a show around that. So, 9:00am every Monday – Friday or maybe every Sunday at 3:00pm for example. Most important here, is consistency and commitment. I think it’s more important to schedule your LIVE so you’re consistent and create a schedule from there. If you can manage to schedule your weekly lives during your peak audience hours, brilliant. If not, go with consistency and select a day and time you know you can commit to for the long-term. Before clicking that Facebook LIVE icon, decide where you’ll be doing the LIVE, first. You are the expert and more than anything, the LIVEs give you a huge opportunity to shine as the expert in your field giving you the opportunity to attract people to you that will look to you for your expertise (what I call pull marketing and heart centered entrepreneurs want to pay attention to this). Do everything you can to highlight you, your message, and your expertise. Remove the distractions from the view of your audience so they can hone in on you and the value you’re delivering. Distractions include a messy and cluttered background, poor lighting, poor reception, a noisy atmosphere, chaotic movement and bouncing around. If you’re a dance teacher…then a dance studio is a perfect background! if you’re a gardener…then go outdoors. Trees and gardens make a perfect background, too. Sitting at your desk and a simple wall behind you is brilliant, too. If you plan on using your smartphone for broadcasting, then I also highly recommend you use a small tripod or plan to prop your phone up so you are hands-free and your phone is steady while you’re live. Remember…less is more and it lets your viewers focus on you, your message and the value you provide as the expert. Keep the distractions at bay. Worry not, you won’t be graded on this test! Testing Facebook LIVE before you actually go LIVE is easy and no one even needs to know you’re testing it. In fact, I highly recommend you do this test as it will help eliminate any surprises. Facebook LIVE is available on your personal and business page. Once you’ve decided where and when you’ll be going LIVE, test it ahead of time from your personal page. Your personal page is the only place that lets you test Facebook LIVE without your friends seeing it (unless of course, you want them to see it). Whether you are using a smartphone or software (more on softwares below) for your Facebook LIVES, before you tap the LIVE Video icon, select “ONLY YOU” on your status update from your personal page (you likely have it automatically set to “PUBLIC” or “FRIENDS”), add a few words in the description, and then click the LIVE Video icon. Test the connection, the sound, the lighting, and the camera angle. Say a few words and play it back to yourself and then make the necessary adjustments. If you like it, share it with your friends for some feedback or simply delete it. This feature is not available for your Facebook business page. Please note, LIVE is immediately public on a business page. Once you see how easy this test works from your personal page, going LIVE on your business page will be a cinch. Wirecast by Telestream: Used among most professionals, Wirecast is a partner to Facebook LIVE (and more costly, too, ranging from $495 to $995). With purchase you also have a bit more support with their community forum. Before purchasing, Wirecast offers a free trial. OBS Studio (or Open Broadcaster Software): It’s most popular because it’s free and easy to use giving you the ability to create a layered video (meaning you can add high performance real time video/audio capturing and mixing, scenes, transitions, audio filters, color correction, and themes). Bluejeans: Works with Facebook LIVE and enables multi-party video. Using Bluejeans lets you produce interactive live streaming for interactive talk shows with guests or for Q and As, and presenters can join from any location around the globe. Cost for Bluejeans is through hosting with limits on attendees starting at $9.95 per month with up to 50 maximum attendees (a limited time offer). Hosting for up to 5,000 attendees is available, but you’ll have to request a quote. Your smartphone is one way to kickstart your show and enough to keep you going. 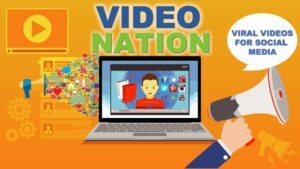 Many YourDigitalFormula.com members are growing audiences and doing well staying this course while others have moved on to making their show a greater experience for their audience using various software. Pay attention! The most important take-away here is that Facebook takes its LIVE streaming very seriously—updating its algorithms and pushing Facebook LIVE to the top of the newsfeed. Even more important, is that Facebook LIVE is watched 3X more than recorded video and photos simply because the viewer wants to be a part of the experience with you. So the question becomes, how can you invite them in on the experience even more? Forward thinking organizations and businesses were quick to see the value of building online communities using social media. The value is immense for consumers as well as the entrepreneur. In the past, paid advertising, store front traffic, an “OPEN” sign, and promotions were used to find community and invite them “in” to your store. Now, online community building offers you the chance to share your message by way of content and education and connection. Consumers and prospective consumers won’t immediately recognize value through advertising or promotion…but they will stay engaged and soak up the value you provide through your expertise and education through your LIVE broadcast. Online community building positions you as the expert delivering the education. The investment to grow your tribe doesn’t include anything more than your time. Using Facebook LIVE is by far the best instrument at your disposal to build community and build relationships. Your community will get to know you, trust you, like you…and eventually feel comfortable investing in you, your product or your service. That can’t happen until they feel good about you. Facebook LIVE gives you this platform to connect across the globe in a unique way unlike any other time in history. Yes…promote your LIVE! But not in that salesy, off-putting kind of way. Add the LIVE show schedule to your Facebook Banner so when fans visit your page, they become aware you have a show and when to catch it. Post an image with the date and time of your show 30 to 60 minutes prior to your LIVE show so your Facebook page fans know ahead of time. Even better…include what you’ll be talking about and make it as interesting as possible for them so they don’t want to miss it! Send an email to your list the night before and share that you’ll be doing a Facebook LIVE, offer them the opportunity to watch and maybe even offer fielding some of their questions while you are LIVE and include a link to your Facebook page. I recommend going live at least one to two minutes before the time you announce it, so that when your fans arrive to your page, they’ll see you are LIVE right away. It goes without saying, be on time as best you can. Ask your friends or partner up with another Facebook page owner and share each other’s lives. Share them in other Facebook groups (if it’s permitted). You are the expert and likely already have in mind what you want to talk about and teach through your Facebook LIVE show. Excellent! But…there is more to consider. If you’re paying attention, it’s these little tweaks in the details that can make your Facebook LIVEs successful and help you grow your audience at rapid speed. In my YDF course and highlighted in my webinar, I teach that the 3 keys to a successful Facebook page and audience growth is to understand that there are 3 partners involved in growing your Facebook Page and what they each want: 1. What you want. 2. What Facebook wants. 3. What your audience wants. #1 and #2 are virtually almost complete before you even get started. You (the expert) want to deliver content and likely already have it at your fingertips! Go back to the blogs you’ve written. You’ve been delivering quality content through your blogs, and going back to your blogs as a resource is a no-brainer. Please…don’t read your blog verbatim. Jot down 3 to 5 main points along with a few notes for yourself about what you want to include in your LIVE for the audience to learn and take away. Make it valuable content and your expert potency goes up! If you have a topic and you don’t have a blog on it, search Google for 2 to 3 blogs from other sources you trust and jot down points you think are valuable for your audience. In your LIVE, talk about them from your expert point of view and give credit where credit is due while you’re live if your citing their blog. Content preparation in your area of expertise shouldn’t take you more than 20 or 30 minutes to prepare prior to going LIVE. Facebook wants people to stay on Facebook and they’re using Facebook LIVE and video to do it. You choosing to do Facebook LIVE is already making them very happy. Done. The third and equally important part of the partnership is your audience. Ask yourself…What does your audience like? What do they more actively reply to on your Facebook business page? What blogs have had the most activity by way of comments and feedback? Pay attention, and you’ll know soon enough what to discuss on your LIVE. The more you give, the more they’ll become your best fans, supporters….and yes, your buyers and clients, too. Many times, content comes from inspiration, too. If you feel like you want to deliver an inspired message because of an experience you had, or because of a conversation you’ve had with a friend then it may be very likely your audience will want to hear about it, too. One thing’s for sure, energy never lies…and if your gut instinct is telling you to go for it—listen. I have found that as my LIVE audience grew over time, the comments on the LIVE feed itself provided a massive resource for me to better understand my audience and what they wanted for future shows. What feedback are you getting in the comments from your LIVEs? What questions are they asking? What do you see is a common thread everyone is either agreeing or disagreeing with? These are excellent clues to what your audience is responding to and how you can deliver more of what they want. It’s in the details I cover in this article that will set you apart and expose you as the expert that you are. Your first LIVE broadcast will likely be awkward, but stick with it. You’ll get your rhythm with it and your tribe will grow over time. I can not stress enough the importance of consistency and committing to a schedule for your LIVE broadcasts. This alone will make it easier for your viewers to find you. Before you click on the LIVE icon, be sure to give it a description that tells your audience (for the live broadcast and for the replays) what you’ll be talking about. The description will show above your LIVE video (and on the notifications and on your replays) and will display like a title. Make it compelling and make it so that they know exactly what they’re in for the next 20 to 30 minute before they click PLAY. Practice in front of a mirror all you like, but remember there is nothing more powerful and compelling than just being yourself. You want to attract people who resonate with YOU, your message, your expertise and how you deliver it. That is where you will strike gold. That is where you attract the audience and future clientele you’ve been looking for. Doing anything unnatural to who you are won’t last. Viewers are getting smarter. Growing your presence online isn’t difficult, but be aware that online presence exposes you in all ways…and inauthenticity will be quickly sniffed out. Beware not to ramble on too long and give the viewers value. Just as you invest your time in doing a Facebook LIVE, they are investing their time watching and learning from you. Repeat the title when you’re LIVE—letting them know straight away what to expect and what they’ll get out of watching your LIVE. Show your enthusiasm about your content and the opportunity to share it with them. Continue to include your audience in the LIVE experience with you. Ask the viewer to help you share the information by sharing the LIVE. Ask the viewers questions, or ask them if they have questions for you. Call out their name and read their comment. A LIVE broadcast can be as long or as short as you like. The recommended amount of time is between 20 to 30 minutes (not taking up too much of the viewers time). Less than 30 minutes, you won’t be able to take full advantage of Facebook pushing your LIVE up in the newsfeed. The longer you’re on, the more Facebook is able to expand your reach and increase your engagement. Always, always, always include a call to action. Not every LIVE has to be a sales pitch, but mentioning your products and how they are helpful (casually) is totally acceptable, after all you are a business owner and you have something great to share! Send them to your website to check out your blog, or send them to a link subscribing to your email list. Ask them to share your LIVE with their friends. Remind them when you’ll be on again and remind them to click GET NOTIFICATIONS, so the next time you’re LIVE, Facebook will alert them. They’ve taken time out to see what you’re about and what you are sharing—thank them for being there. Thank them for sharing. Thank them by name if you see them participating in your LIVE. Once the LIVE is over and you’ve clicked FINISH, then select POST so that it appears on your Facebook page for anyone to watch the replay later. I do a daily Facebook LIVE show and it gets tons of engagement even after the show is over (which is good for you as you grow your tribe). After the show, go back to the comments and check LIKE on the comments you received (and again even a few more hours later) after the LIVE is over. This lets the viewer know you’ve read their comment. Even better, reply back to their comment. Nurturing your tribe by acknowledging that they are there is huge for the person who not only invested their time to watch you but then also commented. This is one big way you can start connecting with your growing tribe and inviting them more into the experience (even after the LIVE is over). Growing your tribe may feel like a grueling process in the beginning but stick with it and help yourself and your business with the value you just created using your own LIVE broadcast. Some of these simple tips will help you repurpose your work and grow a strong online tribe. Once you’ve completed your LIVE and posted it, you can go back into your VIDEO LIBRARY on your Facebook Page and select to edit the LIVE video. In the edit screen, you can select—from up to 10 screen shots—the best thumbnail for the video or you can upload a thumbnail that may include your photo, branding and even the title of the video. Pin the LIVE broadcast to the top of your page so page visitors see you and are given the opportunity to watch the replay. If the LIVE is one you think is good, boost it! For $20 to $50 you can boost the LIVE and get more traction from your LIVE along with adding new fans to your Facebook Page. Embed the LIVE video and use it in a blog on your website. For a few dollars you can have it transcribed, too. You may find that your LIVE may have enough content for 2 or 3 blogs. Download the LIVE video, brand it, and upload it to your Youtube channel using software like Camtasia or iMovie which lets you edit the video, too. Pull quotes from your LIVE show content and create images to share on all the social media sites. Repurposing your content keeps your message alive through various channels of social media distribution. In this digital age, for your business to survive you must use social media to have a presence, expand your reach and use engagement as you build your tribe. This is called social media for a reason… be social and have fun. Uptight and perfect doesn’t work in this digital world. Authenticity and value will take you miles ahead of old school blue suits. Have fun with your LIVEs and show up as you, combined with education and fun. From there, connecting with the right people and building your tribe stands a much better chance of not just surviving…but thriving.